There is an old saying in real estate of “Buyer Beware” and nothing could be more true for a home buyer as in the home purchasing process, which a large part includes the home inspection. As a buyer, you cannot simply sit back and go with the flow (especially if you are paying cash and a home inspection is not a requirement of the lender). The home inspection is one of the most important aspects in allowing a homebuyer to decide if they want to move forward with their real estate purchase. This goes for both existing construction and new construction homes. Reputation precedes you, and that cannot be more true than in business. Be sure to ask your Realtor what their recommended home inspector is, it is important to hear input from the professional real estate industry. Next, use the American Society of Home Inspectors as an indicator that you are hiring an inspector that is qualified. Lastly, request input from friends and neighbors, personal recommendations are a great source of information before making this very important decision. No more spending money on extended stays in the area, or plane flights in order to attend the home inspection. Your professional home inspector will perform the home inspection and send you a detailed inspection report within 24 hours of completing your inspection. Having a competent inspector can save you hundreds of dollars in travel reservations. Your inspector should not take any short cuts or use excuses as to why they could not access different areas of the home, ahead of time, the listing agent should prep the seller to pull back furniture, remove vehicles from the garage, have the attic accessible, etc. Just because the area may be difficult to reach, does not mean your home inspector should omit it from the inspection. 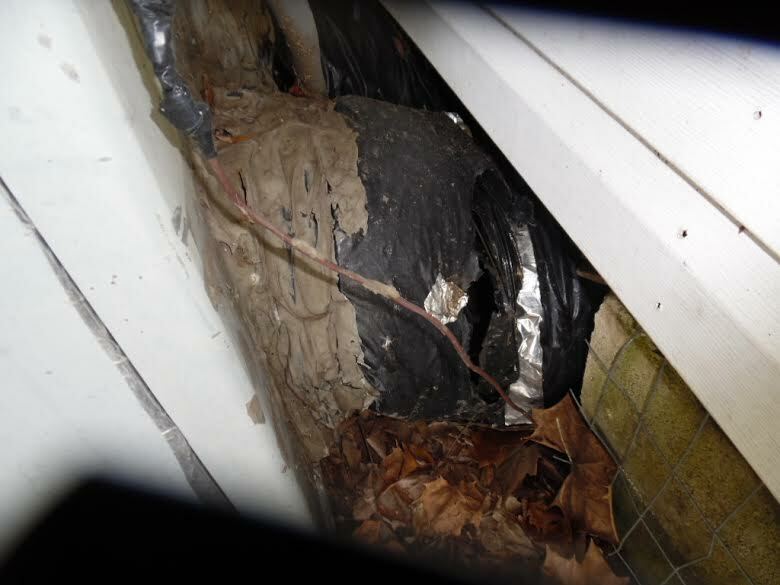 Weather should also not be a factor in stopping the inspector from reaching exterior areas such as crawl spaces or decking. If you do plan on attending the inspection, a good home inspector will welcome you to see for yourself how they operate, and can point out any issues in person. It is a great opportunity for you to ask questions about anything that is found (or great findings). The average home buyer does not typically have intimate knowledge about the “guts” of a home, so specialized areas such as electrical, plumbing, foundation, and HVAC systems can be a bit intimidating. Do not be afraid to ask questions – that is exactly why you hired a home inspector. A good home inspector will be happy to have you attend the inspection, and a great home inspector will answer all of your questions thoroughly, as well as explain what he is doing along the way and what he is looking for. If you do not understand an answer, be sure to ask for clarification, do not let your questions slide because you are scared to ask, again, it is exactly why you hired a professional home inspector in the first place. Many areas require a seller to provide the utilities for a home inspection. During negotiations, if it is not in writing the buyer agrees to turn on the utilities themselves (which may be a stipulation for a distressed sale, such as a foreclosure), the seller should have all utilities turned on for the home inspection. This would include electric, gas, water, solar, etc. 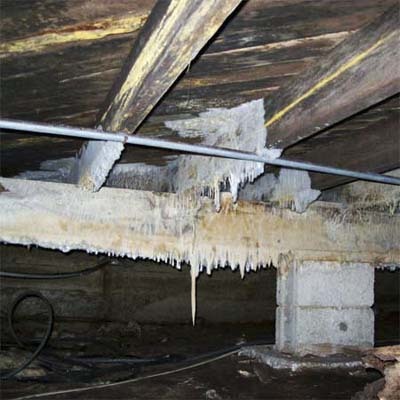 Proper testing cannot be achieved if the utilities are not active during the inspection. It is important that your Real Estate Agent coordinate your inspection properly with all utilities being activated, if an additional trip is required by your home inspector, there may be trip fees added on to the initial cost of the inspection. It is especially important to stress having a water test done on the property. For any home that receives its water supply from a well, it is very extremely important to have a water test done on your new home. In the event that the water comes from a public water source, a water test is still vital in determining if there are toxic contaminants in the drinking water. Water testing will also tell you the integrity of the plumbing, what type of plumbing you have, and if there are dangerous levels of contaminants. It is important to request a water inspection, as it is not typically included on a standard home inspection. 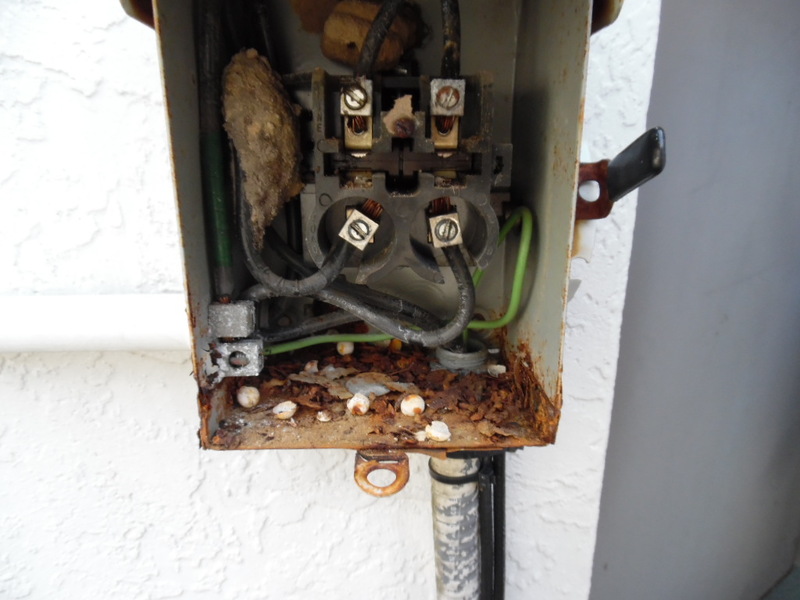 Outside of standard utilities testing, it is also a good investment to test for mold. Toxic mold can contribute to many health issues, especially for children, the elderly, and those with compromised immune systems. Mold remediation can be expensive – it is always good to know if you are making a sound, healthy investment, and if the environment is safe. This is even more vital in tropical climates such as Florida, which tends to have high humidity and homes that may sit for longer periods of time without the HVAC systems activated or are occupied. 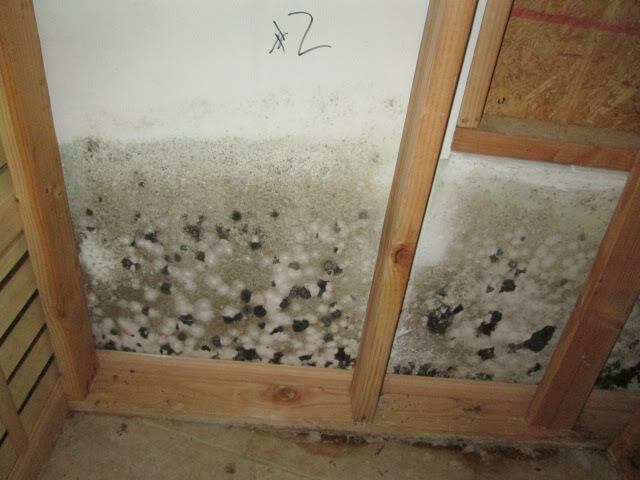 Stagnant, moist air can lead to mold issues even in new construction. Radon is a dangerous gas that can build up in homes over time, a proper radon inspection will let you know if the home is at dangerous levels of this naturally-occurring gas. Even new homes can have their bevy of issues. Do not set your expectations on the contractor that did the work, even homes that have completed construction may not have been done by a competent builder, could have sustained environment damage during a storm, or could have even been victimized by looters if it was unoccupied and isolated for a long period of time. A home inspection can offer you peace of mind in your new purchase, even a clean bill of health can help you rest easy you are making a good investment. Your home inspector may recommend additional inspections with a specialist. Think of your home inspector as the “general practitioner” of inspections, if they see something that may have an issue, or want to rule out an issue, they may recommend in their report that you hire an additional specialist to inspect a particular area of the home. Some specialty inspectors/contracts may include a roofing professional, electrician, plumber, foundation expert, septic specialist, swimming pool consultant, termite/pest professional or arborist. Some buyers feel that if a home inspection is not required, they can save money by not investing in a home inspection. A home is typically one of the biggest investments of a lifetime, and a professional home inspection is priced at just a fraction of the overall price of a home – let alone what the price of fixing major issues. One of the mortgage requirements for any home purchase is to have a home inspection. Why? Because the lender wants to ensure they are investing in a sound business decision, they don’t want to supply their hard-earned capitol into a real estate transaction that is not worth the investment. This same principle should be applied to anyone investing in real estate. Even if the home is considered to be a “bad investment” it is always better to have all of the information available to you before you go through with the purchase of the home. Your home inspection gives you a clear view of exactly what you are investing in, and if it is worth your time and money to proceed. Even if buyers end up walking away from a home at the inspection stage, they are grateful for the knowledge and opportunity to make an educated decision on their home purchase. The truth is you cannot make a decision on something you know nothing about. Knowledge is power, and a home inspection is extremely powerful leverage during the purchasing process. The Home Team of North Central Florida is happy to provide you with prompt, professional, and courteous service for your home inspection. A professional home inspection is one of the most important investments a home buyer can make during the purchasing process. Do not go into your purchase blind and uninformed, an inspection is a tiny fraction of the cost of most homes – not only can you request proper repairs based on your home inspection report, you can rest easy knowing you are making a safe and sound real estate investment. For more information on what types of inspections we provide, what we look for, or what we can suggest for your particular home and area, please do not hesitate to contact us at 352-694-8201 or email us at Info@HomeTeamNCF.com ~ Read more details about our home inspections or schedule an appointment at www.OcalaHomeInspectors.com – we look forward to assisting you! It is true, that purchasing a home or business is one of the biggest investments we make during our lifetime. It can be emotional, stressful and overwhelming at times. The good news is – you don’t have to go through it alone. Using a licensed real estate specialist that can help you find the ideal home is the first step in the process, after you have found “the one” the hard decision-making questions are to follow. Although agents may be able to provide disclosed information from the seller, they are unable to provide you with proper information on structural and technical elements of the home to ensure it is a good investment. This is why hiring not just a certified home inspector, but an inspector with years of experience that can help guide you through the importance of having a proper and thorough building inspection can afford in not only peace of mind – but safety. A licensed home inspector will provide you with a professional home inspection report and offer any assistance in understanding what was found in the home and what that means. This gives the buyer the power of knowledge if this really is the perfect home given the full understanding of what may be wrong with the building. A buyer who has direct, accurate and certified knowledge of a home’s short-comings has several more options available to them, including but not limited to being able to negotiate repairs, have the ability to research repair costs if they would like to move forward, what the dangers are (if any) found during the home inspection and even to back out of contract if the inspection results were more than what the buyer was willing to deal with. It is just like having a coach in your corner to help you make the right decision with your home purchase. When you select a home inspector with years of experience, all of that knowledge is behind you as you move forward and they will be available to answer any questions for you post-inspection. If you are purchasing a residential home, condo/townhouse or a commercial property, a home inspection should be a staple in your purchase process. If you are obtaining a mortgage for your upcoming purchase a home inspection is necessary for the lender to provide proof they are making a good investment with your purchase as well. With all the aspects and stress that may come from a real estate purchase, a home inspection can leave you resting easy with peace of mind with all of the necessary knowledge to make an educated decision. Danny Blankenship with the Home Team Inspection Service not only has years of experience in both residential and commercial inspections, but also an extensive 15 years and 13,000 inspections in Florida – with a unique sub tropical climate and regional real estate issues to look out for. We have completed inspections in our predominant area of North Central Florida including Ocala/Marion County, Belleview, Summerfield, Ocklawaha, McIntosh, Reddick, Weirsdale, Silver Springs, Dunnellon and surrounding areas like The Villages, Gainesville, Wildwood, Leesburg, Orlando and more!